Shih Tzu Puppies: What's So Special About this Breed? 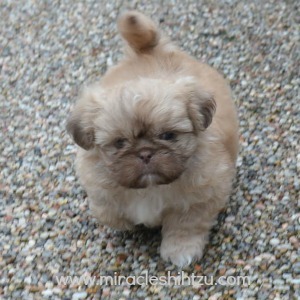 Shih Tzu puppies are just fantastic! Then again, I'm a little biased because I breed them and have been doing so for many years now. Each litter is unique and each puppy in the litter is distinctive in their own way. 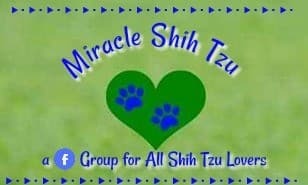 If you arrived here to watch a video and would prefer to skip the next information on Shih Tzu Puppies, please click here. Colors always vary, but what is paramount is how each puppy has their own personal way of relating to their world--their temperament or personality. Even though their little personalities are not immediately observable, you can always find the little one who can wag their tail at four-days old while nursing on their mother. Or, the five-day old puppy who has figured out how to climb out of the whelping box, then cries because he can’t find his way back. These small differences tell me a lot about the puppy. Even without any environmental influences, traits are present at birth persist throughout their life. For example, I can almost predict that the puppy who is wagging a tail will turn out to be a rather happy-go-lucky adult, or an escape artist will be more outgoing and curious about his world. These features can change, of course, depending on environmental influences, but some remain constant such as the puppy's preferred sleeping position. With all those differences, can we paint a picture of a typical Shih Tzu Puppy? The answer is yes, because the Shih Tzu is a purebred dog and individual characteristics are likely to be present in most puppies. Shih Tzu dogs are so popular because of their flexibility and ability to adapt to whatever situation they find themselves in at the moment. So comparing two puppies, you might find that their temperaments vary widely. A Shih Tzu puppy can be curious, exploring and sampling everything he sees, yet minutes later, all he wants to do is rest comfortably on your lap. We get many puppy kisses here and we believe that kisses are one way the puppy shows love and affection. Shih Tzu dogs are always so fast to greet their special person. They might be in a sound sleep, yet alert and eager to see you within a split second. 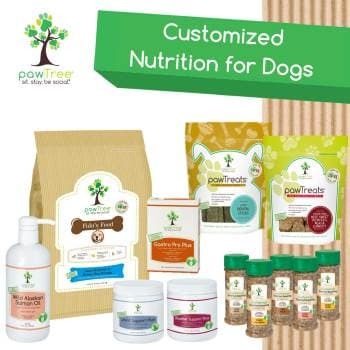 Devoted and passionate about their owners could be considered an understatement. They follow you everywhere, hence the nickname, Velcro Dog. They crave your attention, but if you can’t give in at the moment, they are equally happy to rest by your feet or at least nearby. Some Shih Tzu puppies are extremely outgoing and friendly to everyone they meet. Others are a little more cautions. Some might even be considered shy. The environment plays a large part in shaping these behaviors. The most striking part of the Shih Tzu Puppy’s make-up is his ability to mold himself to the needs of his special person. Active people end up with a Shih Tzu, who enjoys neighborhood walks. Shih Tzu become the perfect lap dog for seniors and people that are more sedentary. When placed in a house full of children, the Shih Tzu demonstrates just how playful he can be. These dogs seem to have an uncanny ability to know what we want even before we know. With such amazing personalities, why isn’t there a Shih Tzu puppy in every household. Well, for starters, they require some upkeep. Daily Brushing and combing might not be your cup of tea. They have a reputation for being stubborn. You will notice this if you ask them to do something that, they do not particularly want to do. 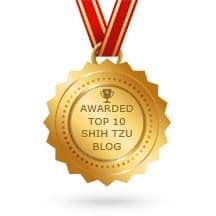 Housebreaking is a little harder with Shih Tzu dogs and training can be more challenging. 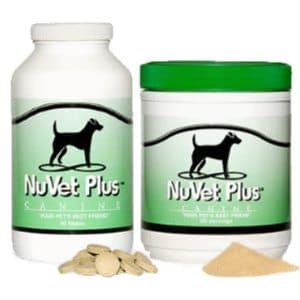 They do have some health issues that plague some dogs and many suffer from separation anxiety if not adequately socialized when they are young. So, if you can tolerate these somewhat negative traits, you are likely to have a pal who will be wholly devoted to you.